Major indices near closes from yesterday. The major US stock indices are opening and trading near unchanged levels. Key level for the S&P today is at 2742.11. That is where the 200 day MA is today. 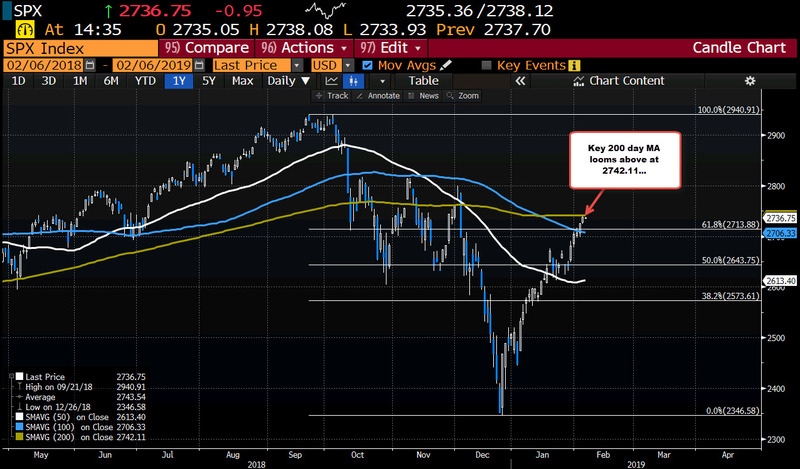 The index moved above its 100 day MA on Monday (currently at 2706.33) but found sellers against the 200 day MA yesterday. That is the next technical hurdle for stocks.